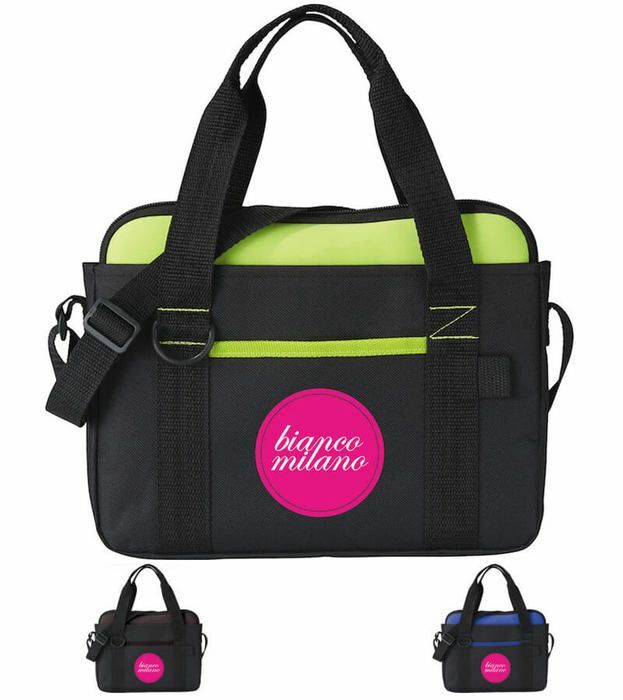 Padded zippered removable main compartment holds most iPads®, tablets and eReaders. Exterior sleeve for easy carrying has open front pocket, stylus/pen loop and D-ring. Double 16" reinforced handles. Adjustable shoulder strap. Great for conventions. Pen and accessories not included.